Chris Riley road tests and reviews the Citroen Berlingo with specs, fuel consumption and verdict. 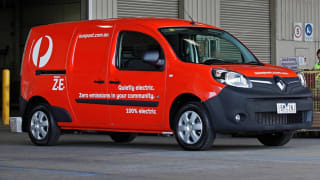 The humble Berlingo delivery van remains the flag bearer for Citroen in Australia. The French brand's other models have not fared all that well here although the quirky, head-turning Cactus SUV stablemate has been quick to chalk up sales. 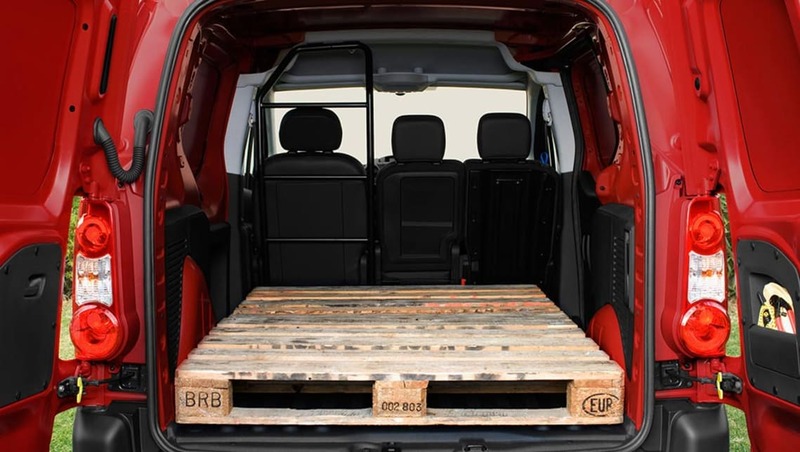 The Berlingo still trails rivals such as the VW Caddy and Renault Kangoo. There are short and long wheelbase versions, with petrol or turbo diesel engines. The robotised, single-clutch transmission is infamous for its lurching gear changes and you get charged $4K for the experience. Prices start from $21,990 for the 1.6-litre petrol SWB, with a five-speed manual. 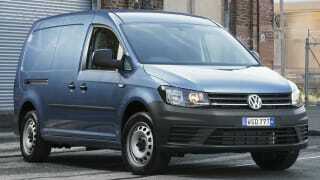 Our test van is the Long Body manual with a 1.6-litre turbo diesel, priced from $26,990. The ETG automatic adds $4000. An upgrade late last year enhanced value, adding dual sliding doors and a rear view camera as standard. Other safety items are conspicuously lacking. Overseas, the Berlingo scores four stars for safety but that's for a car with two airbags. Our test version lacks a passenger airbag, an option, as are side airbags. Standard kit includes a seven-inch touchscreen, cruise control with speed limiter, the sliding doors and moulded load area protector. Multimedia features include Apple CarPlay and Mirrorlink but not Android Auto. Mirrorlink supports some Android apps but not Google Maps. For urban duties we'd prefer an auto but that would mean ticking the box for Citroen's contrary ETG "semi-auto". The five-speed manual counterpart, although old school, is a snack to use. The gear shift is handily positioned and slots home easily — it does not need to be rushed and combines with a hill holder to ease the progress into traffic on the inclines. The high driving position is a surprise and there is height adjustment for the driver's seat. The steering wheel adjusts for both reach and height. This van handles better than some cars we've driven. We point it with intent at a couple of favourite bends and it emerges poised and unscathed. The steering is good and throttle response gratifying, with plenty of torque for climbing hills. Given these delivery vans tend to become mobile offices connectivity becomes important. It's supposed to support Apple CarPlay and Android Auto but the latter is absent. Mirrorlink supports a limited number of certified apps, among them our favourite offline navigation app. Lack of satnav is not a huge problem, it seems — but then we can't get the app to work. If the number of posts in forums on the net is any gauge, it seems many others can't either. Fuel consumption from the 60L tank is rated at 5.7L/100km — and that is exactly what we return over 330km. It's surprising how much fun a small delivery van can be to drive. It's nippy with car-like dynamics and practical for carting goods around town. As a place to spend the working week, it's far preferable to full-size van. Would you consider the Berlingo over its rivals, or is the lack of a decent automatic option a deal-breaker? Let us know in the comments below. 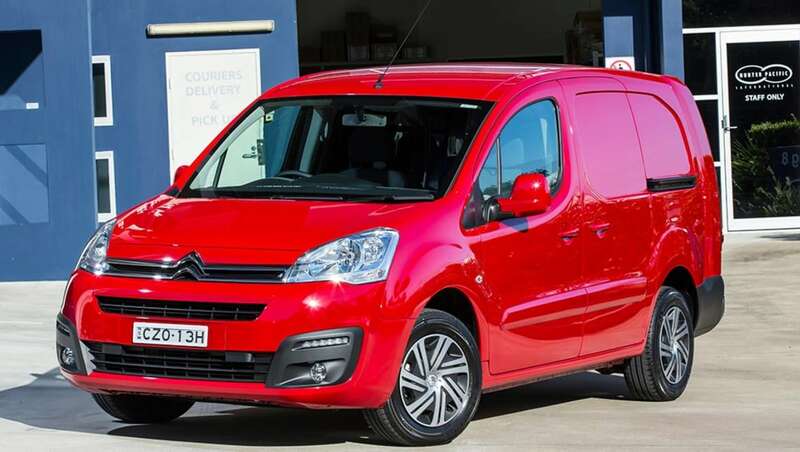 Click here to see more 2016 Citroen Berlingo pricing and spec info. 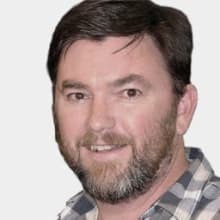 Ewan Kennedy road tests and reviews the Volkswagen Caddy with specs, fuel consumption and verdict. 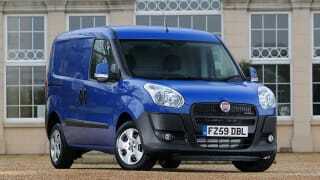 James Stanford road tests and reviews the Fiat Doblo with specs, fuel consumption and verdict. 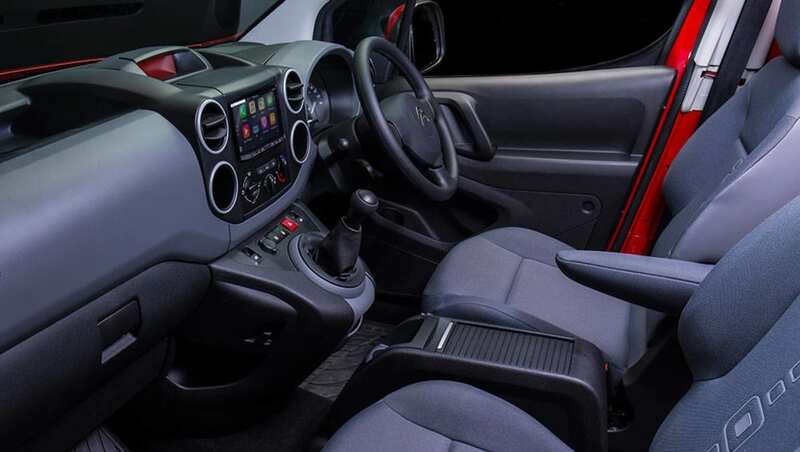 James Standford road tests and reviews the Renault Kangoo ZE.